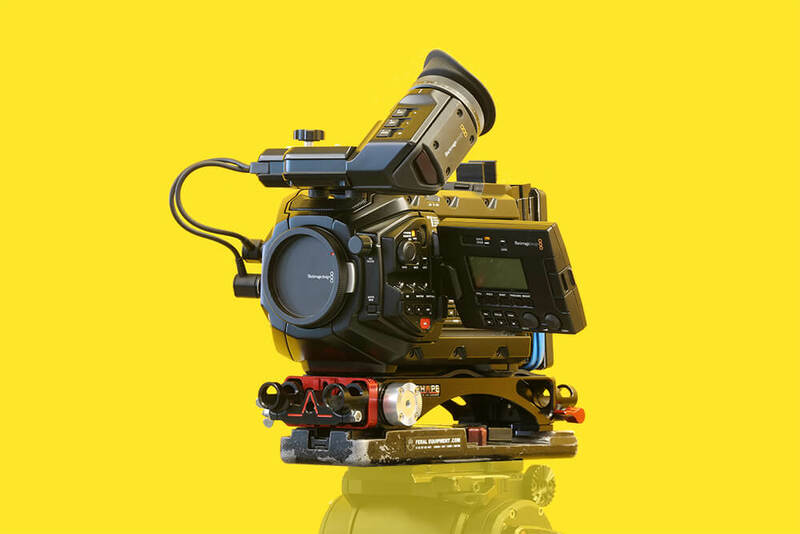 The Blackmagic Ursa Mini 4K with a Super35 size sensor of 4.6K resolution and a large dynamic range of 15 stops. Apple ProRes format; 422, 4444 HQ at 4.6K, 4K, 3K, 2K and HD resolutions with frame rates up to 60 fps. Can provided be EF or PL. Our Ursa Mini has been modified to have 2 x SSD slots, for those demanding interview set ups! A lightweight miniaturised URSA version featuring an incredible 4.6K Super 35 image sensor with a massive 15 stops of dynamic range! The super compact and lightweight design is perfectly balanced for handheld use and comfortable enough for all day shooting. That means you get a handheld camera with higher resolution and better dynamic range than most Super 35mm film! URSA Mini shoots up to 60 frames per second, has a super bright 5 inch foldout viewfinder, dual RAW and ProRes recorders and more. Want to use it with our rigs? Try the Baby Body Rig.